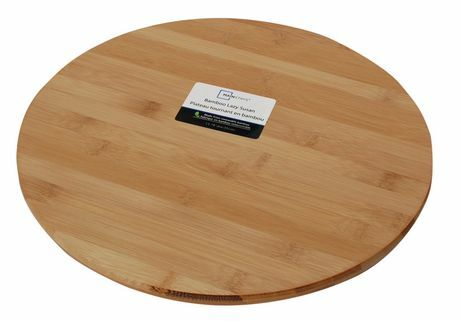 The Mainstays™ Bamboo Lazy Susan is the perfect serving tool for every kitchen. Help keep everything within reach during meals with the spinning lazy susan. The bamboo material is not only eco-friendly, but it is durable and provides an elegant touch to your kitchen.